Martin Sorrell, the CEO of the world's biggest ad agency WPP for the past three decades, is leaving the company amid an investigation into alleged "personal misconduct." 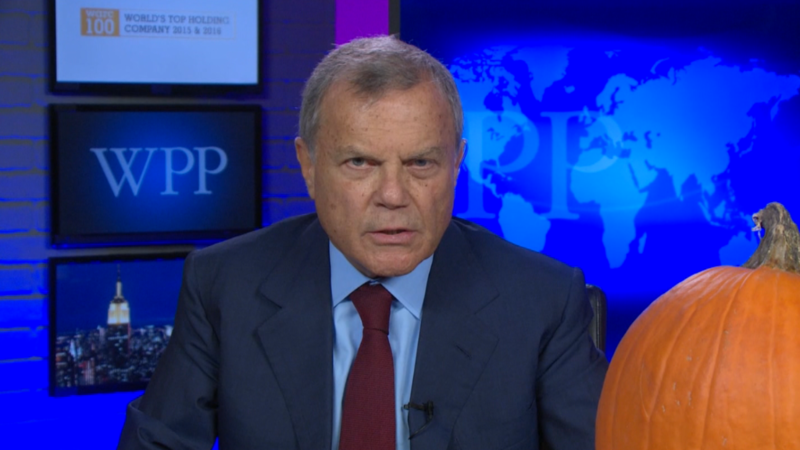 Sorrell announced his departure in a letter to WPP (WPP) employees Saturday. "As I look ahead, I see that the current disruption we are experiencing is simply putting too much unnecessary pressure on the business," the note reads. "That is why I have decided that in your interest, in the interest of our clients, in the interest of all shareowners, both big and small, and in the interest of all our other stakeholders, it is best for me to step aside." WPP said last week that the company's board had hired an independent counsel to conduct a probe into alleged misconduct by Sorrell. The firm said that "the allegations do not involve amounts which are material to WPP." It gave no further details. The Wall Street Journal reported that the investigation targeted whether Sorrell "misused company assets." Sorrell has said he "unreservedly" denies any inappropriate action. The letter announcing his resignation did not directly address the allegations or investigation. A spokesperson for WPP did not immediately reply to a request for comment. His exit comes at a tough time for the company. Last month, WPP disclosed annual earnings and an outlook for 2018 that caused its stock to plunge. Shares are down more than 20% over the past year. The conglomerate, which own 400 agencies including Ogilvy & Mather, said that sales will be flat this year, and long term earnings growth could drop as low as 5%. Ad spending by WPP's biggest clients, which include Ford (F), HSBC (HSBC), Unilever (UL) and Procter & Gamble (PG), was below average last year and is not forecast to improve. More broadly, the advertising industry is being rocked by a shift from TV and print ads to digital spots, which are cheaper to produce and easy for companies to make without help from an ad agency. Sorrell made £70 million ($98 million) in 2015 and £48 million ($68 million) last year. Taking Sorrell's place will be Mark Read and Andrew Scott, both of whom have spent about two decades with the company. — CNN's Alanna Petroff contributed to this report.